Everton opened the score in the 63rd minute as Deulofeu culminated a superb effort by firing a cross in Leicester's box to the wide open Romelu Lukaku who duly obliged. 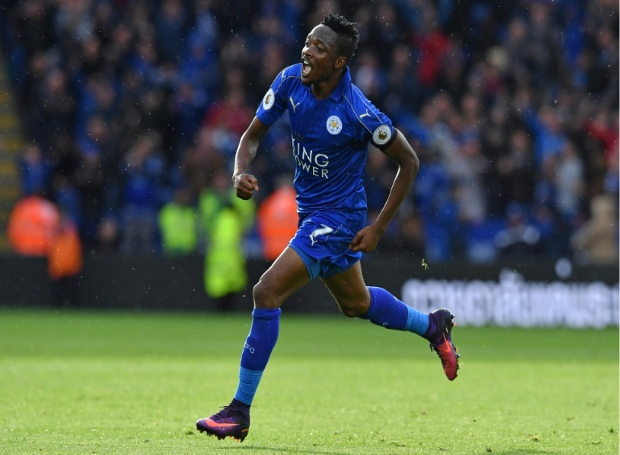 It took less than three minutes however for Musa, who had come off the bench in the first half for the injured Leandro Ulloa, to reply with a somewhat sloppy but still effective finish off a pass by Gray. The Nigerian international then completed the turnaround with a sublime goal in the 71st minute, as he played a beautiful one-two with Danny Drinkwater and sent the return into Robles’ net.